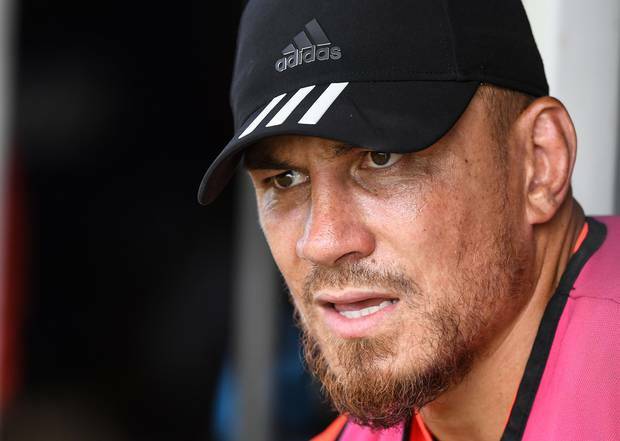 Sonny Bill Williams has given his broadest hint yet that this will be his last year with the Blues and New Zealand Rugby. The Blues and All Blacks midfielder, who turns 34 in August, is contracted until after this year's World Cup in Japan, which he will almost certainly attend providing he remains fit due to his experience and ability to unlock opposition defences with his trademark offloads. But, given his injury frustrations of the last couple of years, Williams knows more than most about the pitfalls of looking too far ahead. Time is running out on his rugby career at the highest level and there is a sense that Williams, who tasted Super Rugby glory with the Chiefs, is targeting this season as his last chance to win a championship at the Blues. In an interview with the Herald today, a reflective Williams spoke of his frustrations of last year which was interrupted by wrist, knee and shoulder injuries and limited his output to a handful of games for his franchise and only five tests. He suffered an AC joint shoulder injury against England at Twickenham in the All Blacks' penultimate test of the year in November but is now 100 per cent fit and said he would be available for the Blues' opening game of the season against the Crusaders at Eden Park a week on Saturday. "For the last two years I've been so methodical with my planning and preparation," he said. "Every off-season: 'A, B, C, D and I'm going to get to E'. But the last two years have been so injury ravaged I've come to understand that I have a plan but that God is the best planner. I put my faith in God and work hard and try to be the best person – husband, father, teammate - that I can be. Asked whether this could be his last year at the Blues, he replied: "It could be, bro, it could be. "But with age comes a little bit of wisdom. I've had my share of events that have made me the person that I am today. "If I did finish at the end of the year, as long as I competed every day and put my best foot forward as a person and a player I'll be happy. Who knows? Like I said, for the last two years I've had big plans." Given the injuries Williams has suffered over his high-impact - in all senses - and well-travelled career, a season in Japan or even retirement could follow this year but in the meantime there is a positivity surrounding the Blues in the wake of head coach Leon MacDonald's appointment that hasn't been at the franchise who last made the playoffs in 2011 for a long time. That is in part due to the increased depth in the squad – especially in the backline following the arrival of Ma'a Nonu, who played 103 tests for the All Blacks, and No10 Otere Black's return to fitness from a long-term knee injury. 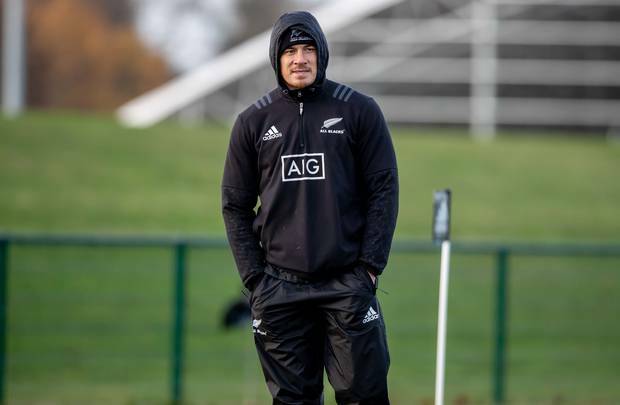 Williams spoke of the healthy competition for places and insisted both he and Nonu, a former rival for the black No12 jersey, can start in the midfield together. The last time the pair played together was during the second half of the 2015 World Cup final against Australia at Twickenham after Williams replaced Conrad Smith at halftime and promptly gifted the offload which sent Nonu off on a near 50m run to the tryline. "On and off I've played alongside Skux [Nonu] for close to 10 years, although obviously not the last couple of years," Williams said. "I made my debut for the All Blacks with him [against England at Twickenham in 2010]. We've always had a good friendship. It's no secret that we've always competed for the same position… we're out here competing as you can see but we're laughing and bringing out the best in each other as well." Asked if the pair could start together, Williams replied: "I think we've shown that. I feel like some of the best games we've played for the All Blacks have been together. I don't think that will be an issue; but obviously, TJ [Faiane], Levi [Aumua], and young Tanielu Tele'a [are here too]… there are some great players here. Everyone is going to get their shot."